Don't you just love the visual effect you see from a Radiant burner Element in a electric Glass top stove - Not to talk about the instant surface heat, it's like having a open flame gas burner stove. 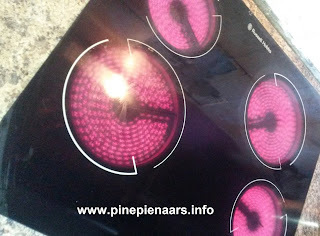 To do creative cooking on these burner element you need three components to work together in perfect harmony. 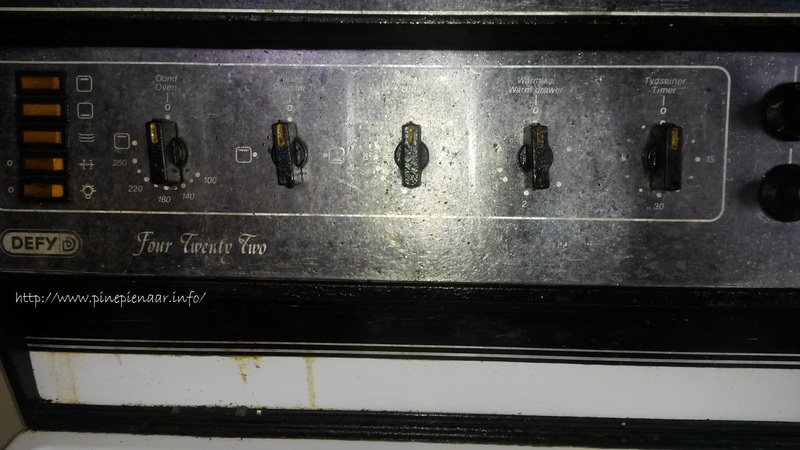 The switches and wires I will cover in another post but for now just the stove burner/element. When you start noticing dark spots on the element, it is indicating a pending fault. Other times It is difficult to always see a visual break in the system but the burner just doesn't come on. Then you have to do a continuity test with your multimeter (it should read 0 and 115 ohms of resistance) - No continuity means the element is broken. Yaks! I heard that !! 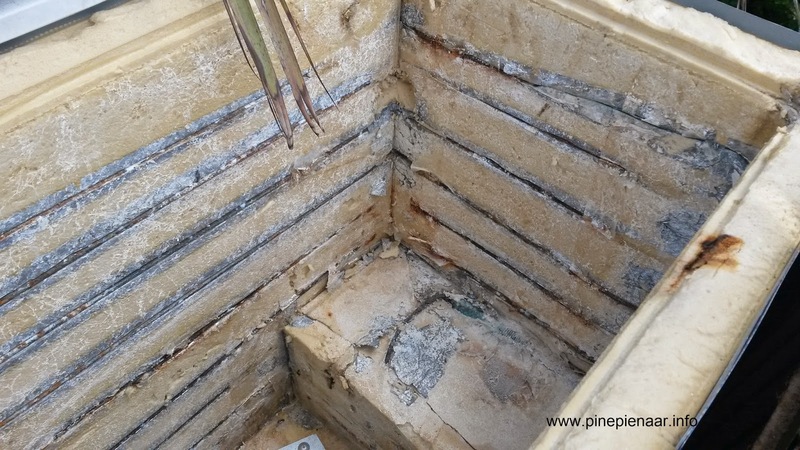 - Ok I will also cover continuity testing in another post because You don't have to be a rocket scientist to do this test but this information will save you plenty in callout and quote fee's. 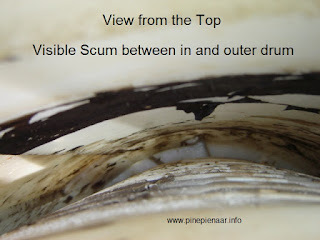 Once you have removed the glass Check for burned spots like the picture above or if there is a break in the coils. 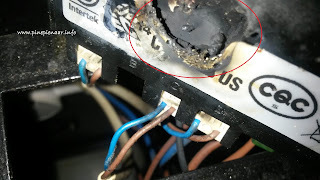 Don't try to repair the element just replace it. Beverley I do hope this information help you to make a better informed decision for getting your stove sorted in America. Instead of the old NF1 Satchwell regulator switch Defy is now using a more sturdy switch for their Stove plate (burner / element) controls. 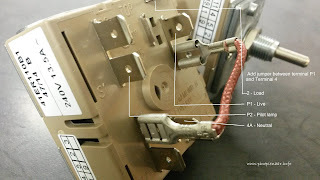 Connecting the wire to the new switch might seems a little more complicated but that is why you have me. 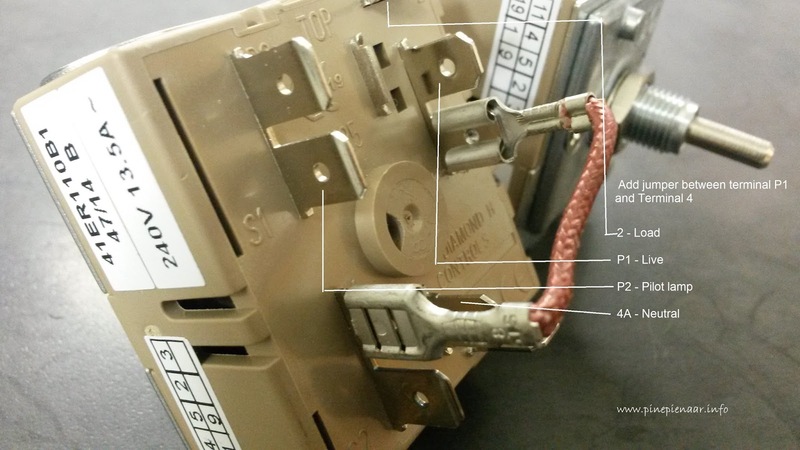 I hope this information helps to make your appliance repairs more pleasurable? Should you need more information - leave me a comment below or shoot over to our Facebook page and just ask. In the hey days (1800) operating rooms had big windows and they were build facing the sun. The drawback was it meant that operations could only be done at a certain time of day. Fortunately this has all changed with the invention of electricity. 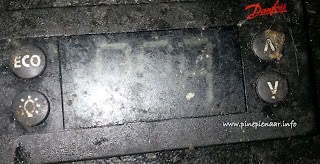 Lux Meter is used to measure the amount of visible light at a certain point. Lux units are then measure at 1 meter distance from the emitting light field center to get maximum Lux intensity. 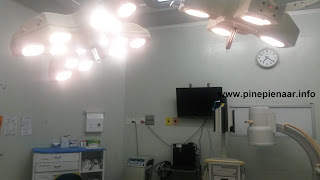 One of the major problems with operating theater lights centration and illumination. was heat radiation. With the the help of light emitting diodes this problem was solved and it also help to reduce energy usage. Listen to me rattling along here but I just can't help myself - illumination is such a fascinating subject to me. But that is enough information for one post I just don't want to risk losing you to boredom. On the rare chance Should you need a little more information feel free to leave me a comment below. PS. Heads up; One of the advantages of doing my craft is you become invisible to the average and making observation about how other people practise their craft has become a hobby of mine - that is why I can confirm that the operating theater matron is running a tight ship and even the personnel of Livingstone Hospital operating theater are just so committed to excellence. 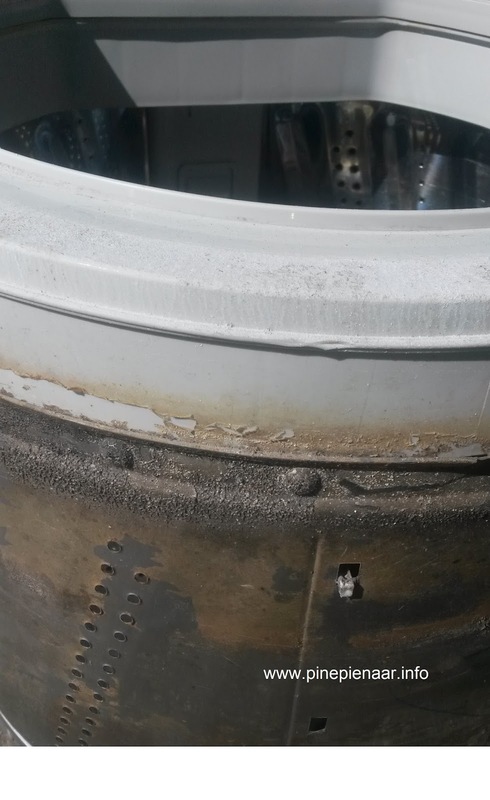 How do you know it is time to clean your washing machine inner drum? - when it starts talking to you through your nose and your washed clothing also smells. 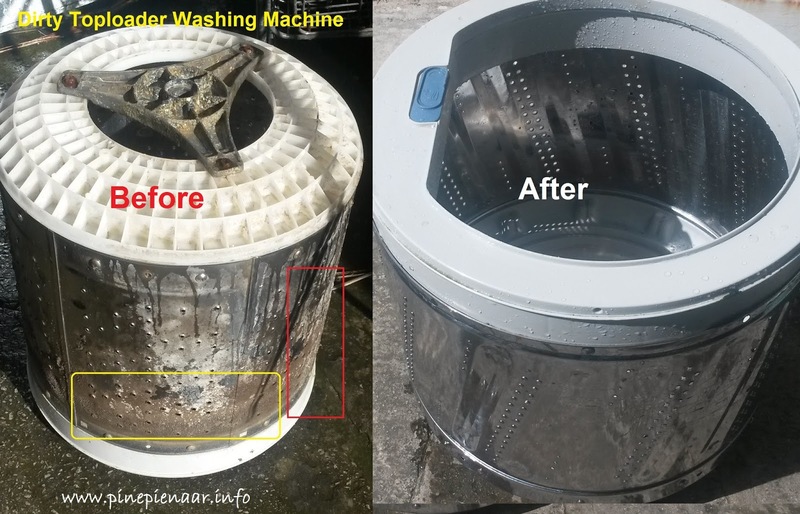 Another noticeable sign that your washing machine inner drum is dirty is when you start seeing black spots on the clothes after it has been washed. 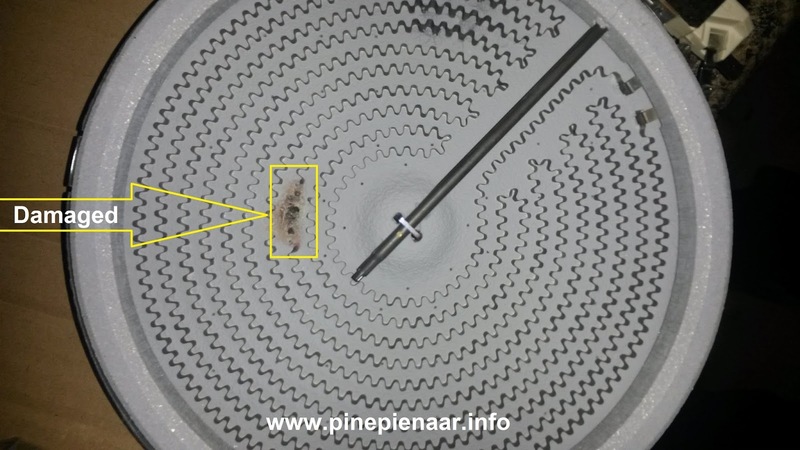 Select the Heavy-load or Maximum water setting, because you want your machine to fill up right to the rim. Fill washing machine with Hot water and once it stops add another liter or two which you pour in by hand. 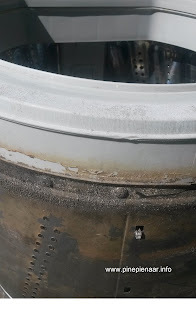 The idea is to get the water level over its usual level because just above that normal level is the "black-greasy-rim" which you want to remove. Pour a cup of white vinegar and a cup of soda. Sometimes I use Dishwasher detergent instead, which also removes scum off the inner drum beautifully. Then Switch on the washing machine and let it do a couple of turns - so that the cleaning mixture can dilute and mix with water. If you want you can run it through another wash cycle without anything in it but it not really necessary because most washing machine have about rinse cycle which they take in water and pump it out again. 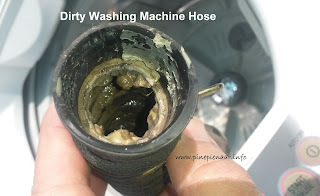 Switch washing machine on and let fill with water. After it has turn a couple of times it will start to heat up the water. Once it has the machines water is hot (feel the glass door). Turn machine off. then add another 4 liters hot water which you pour in through the soap dispenser. Let it stand for a day or two with water/detergent mixture inside it. 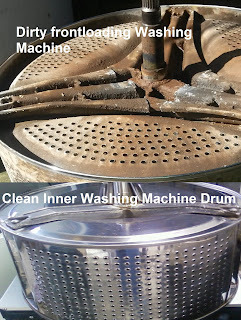 I recommended that you clean your washing machine every 6 months but it is entirely up to you,It also depends on what you wash on a regular basis, if it is overalls or sweaty sports clothing - then you should do it more often. If you feel you wanna do it every month - Go-for-it! Ps. We would like to hear from you Leave us a comment. 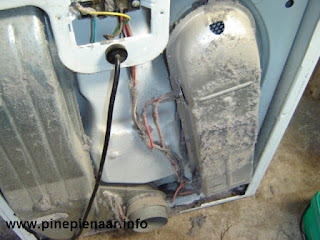 Do you know there are Aliens living inside your Washing Machine and they are multiplying daily. 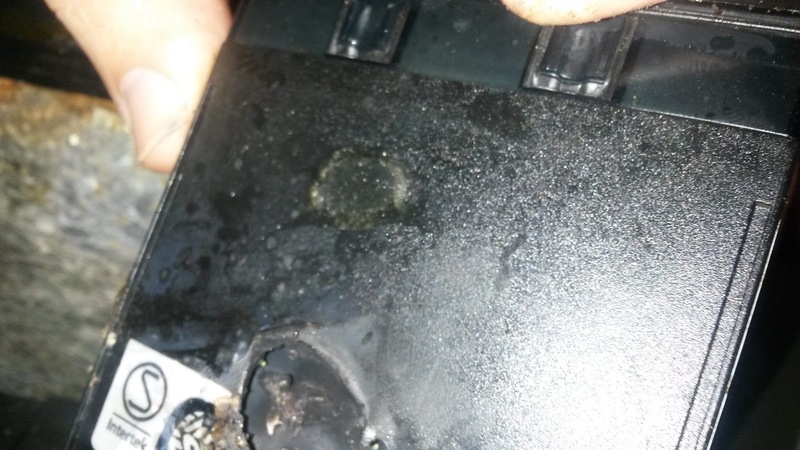 It is unusual for the controller to explode like this but with current guys controlling of our power source in South Africa anything is possible. Sorry! I should not put all blame on these guys for everything that goes wrong. Sometimes it is also a case that the refrigerator wasn't serviced regularly. 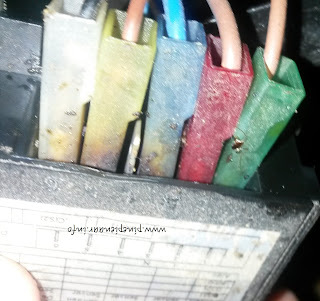 If you look closely at the picture below you will see that some of the push-on connectors has turned brown in color. If this refrigerator was serviced regularly the refrigerator technician would have seen that push-on connections was going bad because it has turned color and needs to be replaced. 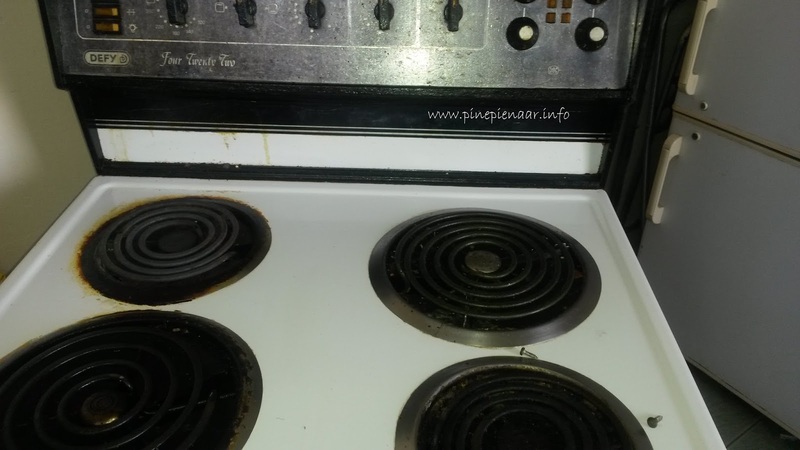 The Defy model; four twenty two stove must be one of the best models Defy manufactures has ever produced for general household use. 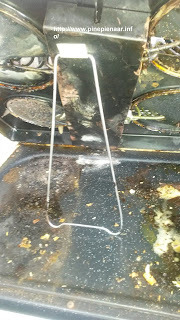 Its so simple to use and it gives the same end cooking results as the more advanced Defy models. To insure you always achieve a tasty result with your stove there is one universal rule you must follow and that is regular cleaning. 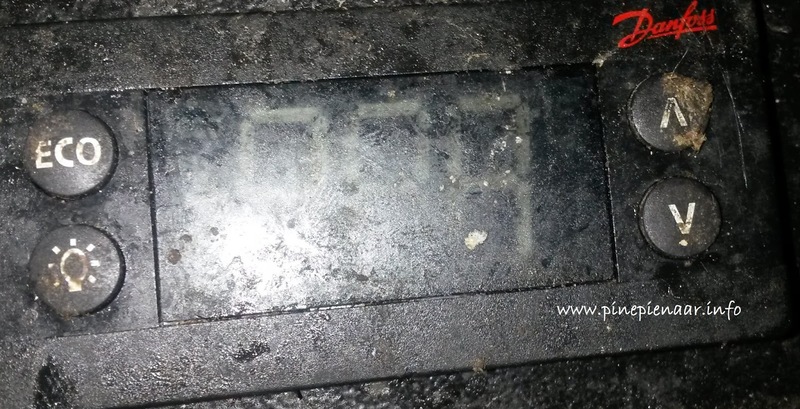 With most defy Stoves you are able to lift up the plates and clean under neath the plates. 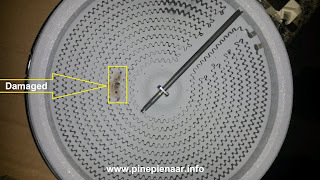 Some of them has two screws on the side which you should unscrew - if you need some pointer here just leave a comment below or if Facebook works better for you click hear. In this post you will find the most common problems that Dishwasher user's experience and also which they can sorted out themselves. 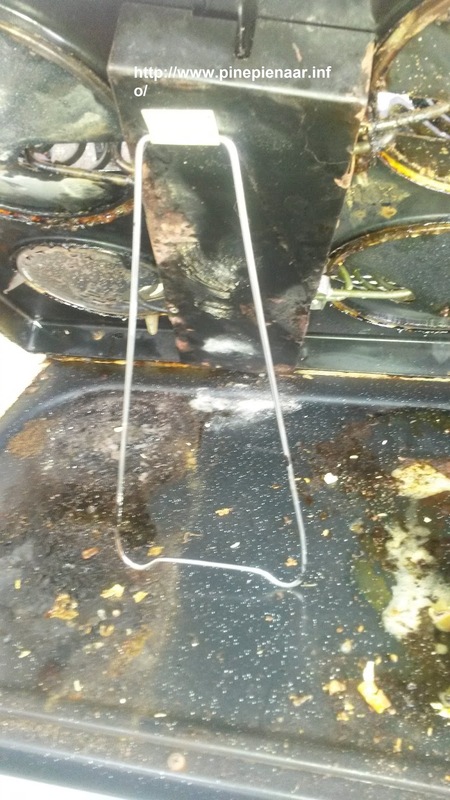 This happens when dishwasher heater-element setting is too high. Just turn your thermostat to a lower setting. Glassware must always be loaded on the top shelve of a Dishwasher. 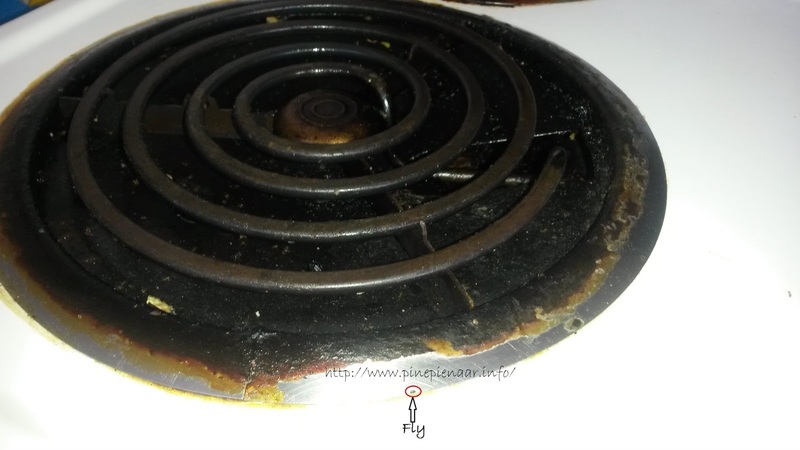 Spray arms jets are blocked - Clean filter and take a paperclip to dislodge food that is stuck in the little jet-holes. Quality of cutlery/stainless might not be as good as you think it is. 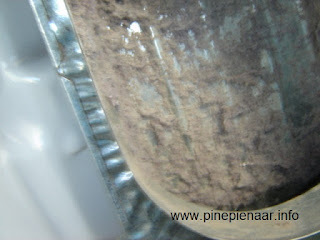 Decorative crockery are not dishwasher proof when it starts to fade or loosing patterns. (how's that for lightbulb moment). But seriously I suggest you should never wash any decorative crockery in a dishwasher. It is the same as washing a printed t-shirt in a automatic-washing-machine. Never-Ever! 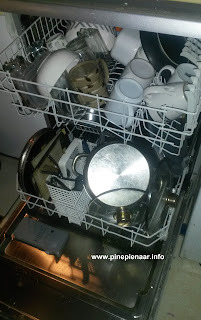 wash cristal in a dishwasher. When the manufacturer says their products are dishwasher proof/safe, then you know you are buying an inferior product which you have paid too much for because you thought it was good cristal. Somethings you just don't do mechanically - Washing Cristal by hand in lukewarm soapy water is just the right thing to do and besides it just feels so good between your fingers, its almost as thrilling as the "First". Ps. If you have any questions or suggestions feel free to leave a comment here or go and "Like" our Facebook page for a Free Quotation! 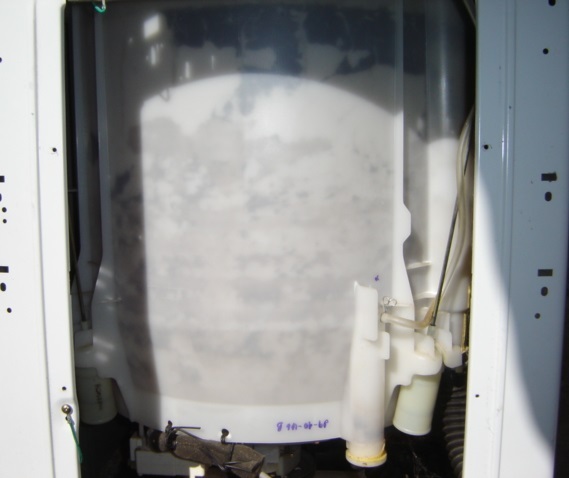 The refrigerator-tubing was punched by a sharp objects (like a knife) - it is repairable and also regasable. 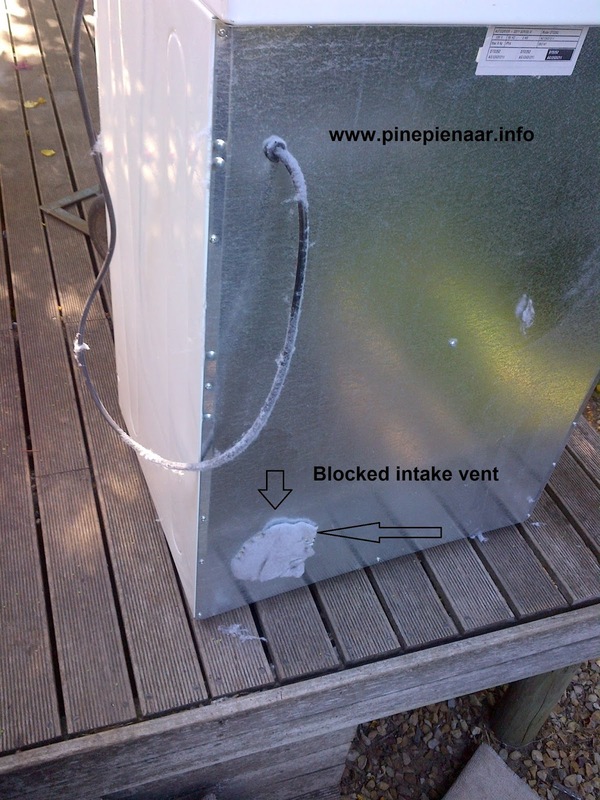 When the refrigerator has an outside gas leak - it is also repairable. 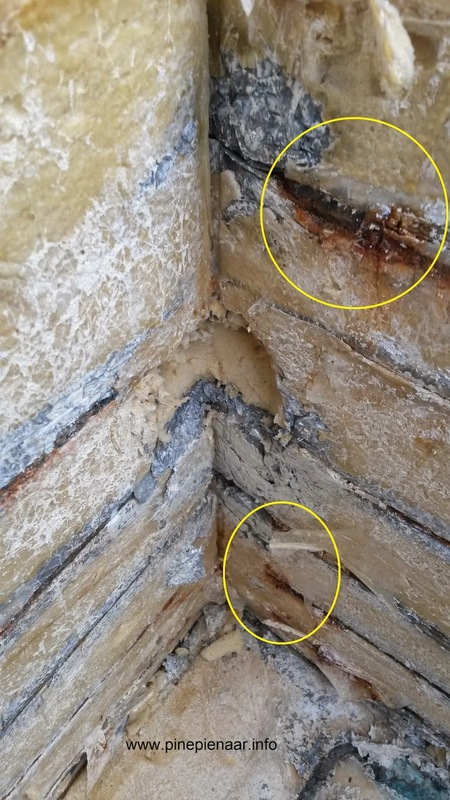 This condition normally happens when the unit was moved and during the move strain was put on the pipe joints. Internal leaks are Not repairable. Long - long time ago manufactures weren't only building appliances they were also building reputations. 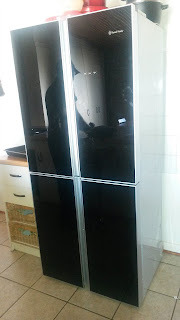 They build appliances to last, using the best materials available ie copper and aluminum. Instead of using more copper and aluminum inside their new refrigerators, manufactures are now using steel tubing that has been galvanised. 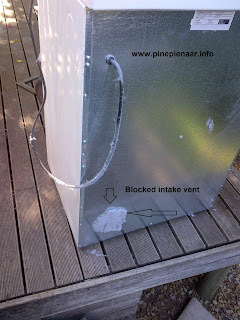 As you can see from the picture above, the ice tubes (Galvanised pipes) that cools the inside cabinet is logged between the outer and inside cabinets.The cooling tubes is fitted off centre, more towards the inside cabinet so that it can cool down the inside first. 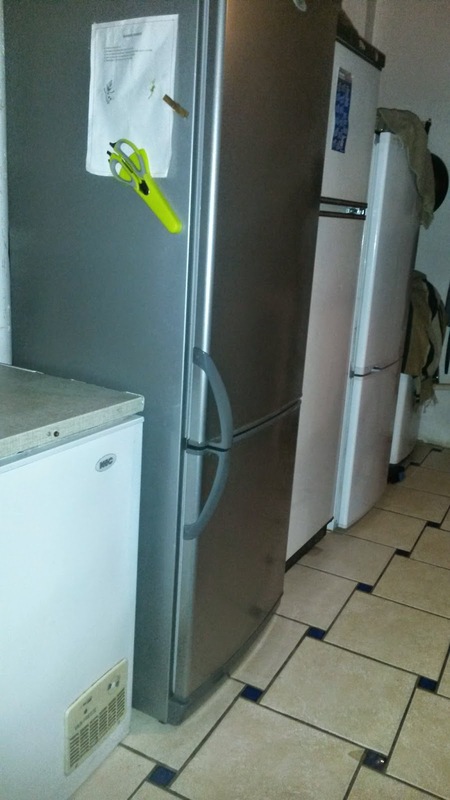 This layout (design) makes it impossible for someone to repair a refrigerator when it has a internal gas leaking. Without cutting the refrigerator cabinet open. 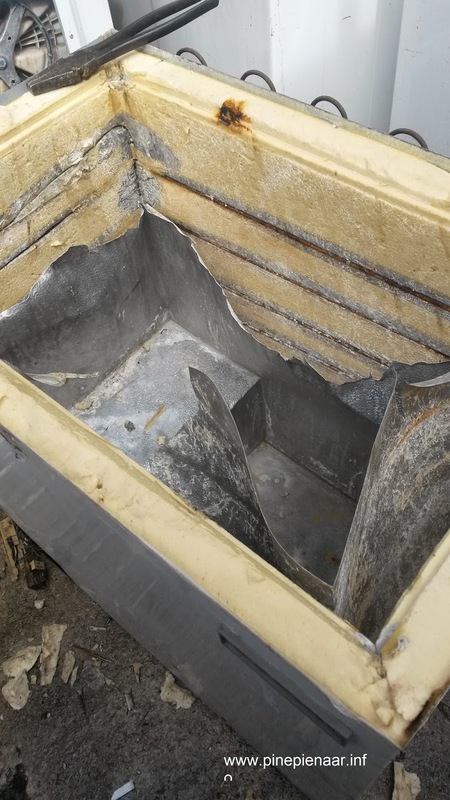 Most of time when a person re-gas your refrigerator you can actually hear where the leak is and if you then cut it open, you can repair that leak but the damaged (cut) can never be repair to its former glory. 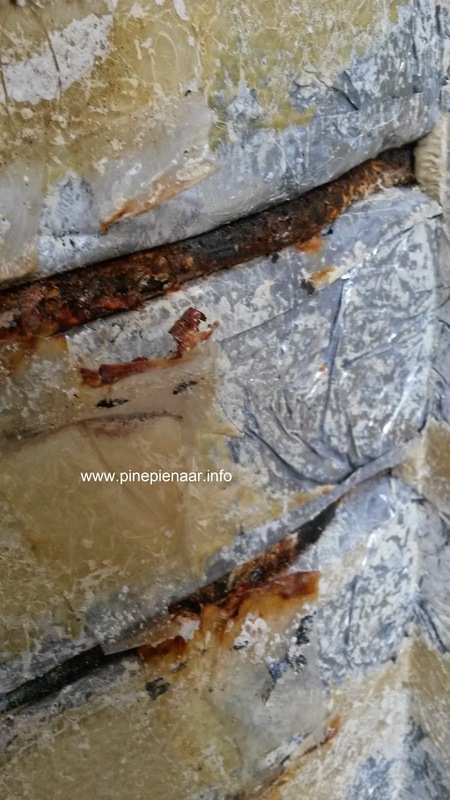 As you can see from the pictures you might repair the actual gas but the rest of the refrigerators tubing are also corroded and will be developing leaks in the near future. 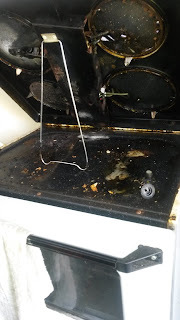 What I am trying to tell you is that most of the time your refrigerator cannot be repaired and by fill your refrigerator with refrigerant You're only buying time - the snake is still there. I hope this information will help you to make a more informed decision about having your refrigerator re-gassed or not. 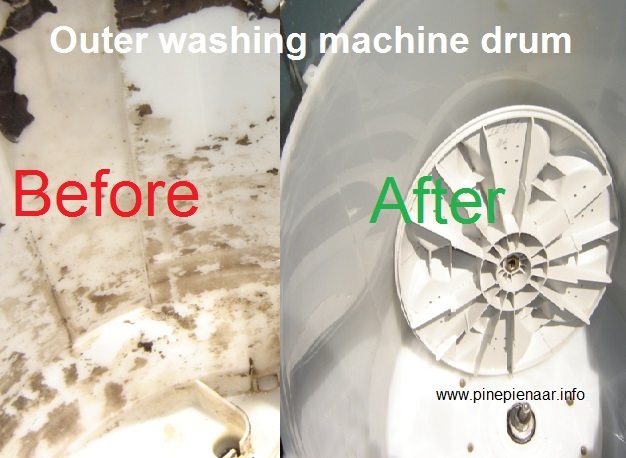 If you need more information you can catch me at https://www.facebook.com/Appliancesa.